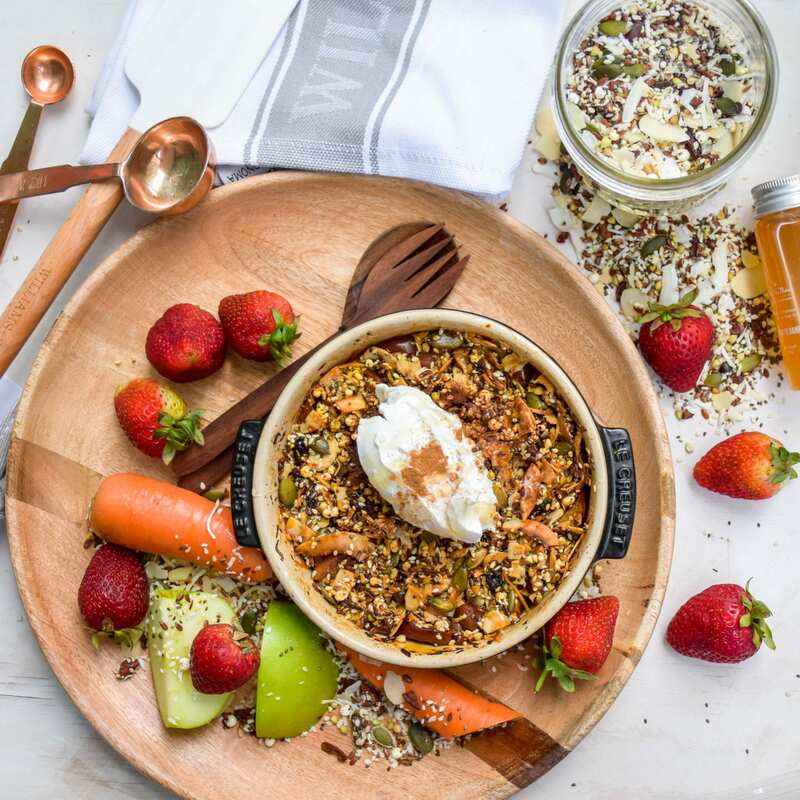 This apple and carrot crumble is a deliciously warming breakfast or dessert option for the warmer mornings and evenings. Plus, it’s got vegetables in it – so it’s a win! Combine the ingredients for the Base in a baking dish. Bake in the oven for approx. 10-15 minutes. Mix ingredients for Crumble in a separate bowl and then spread over the top of the cooked Base ingredients. Remove from oven, allow to cool for a few minutes before serving with Pure N Free coconut yoghurt. Thank you to Katherine for this recipe!